I have to say that I was hesitant when we decided to head down to Key West. I had only heard great things about the area but, for some reason, it wasn't at the top of my "have to see" list. Fortunately, the area exceeded all of my expectations! 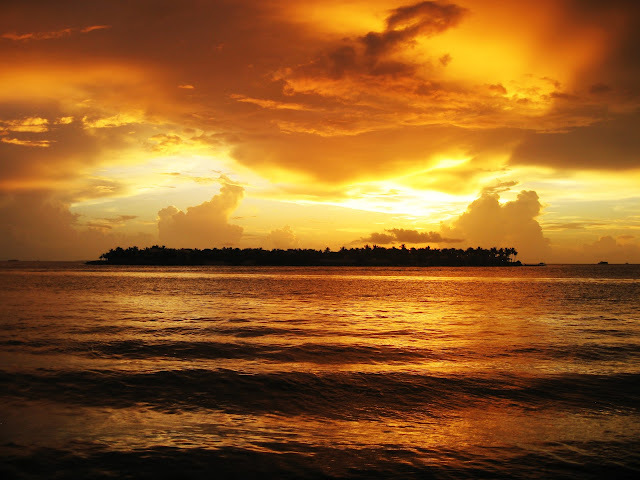 Sunset Pier: We had some awesome nachos and pina coladas as we watched the sunset on our first night. This was a great way to start our weekend and we'd highly recommend this stop! 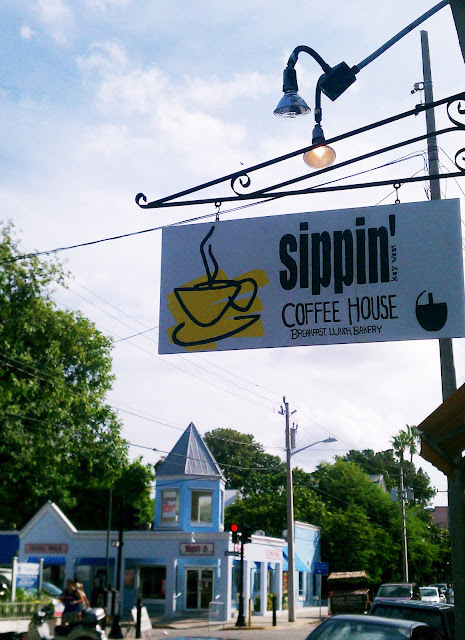 Sippin: We found this little coffee shop one morning, and I have since had a reoccuring dream about the key-lime croissant that I had with my coffee - AMAZING! Remember the croissant will haunt you... in a good way. El Siboney: This place is off the beaten path but well worth the walk. If you like Cuban food, I'd recommend their Ropa Vieja. 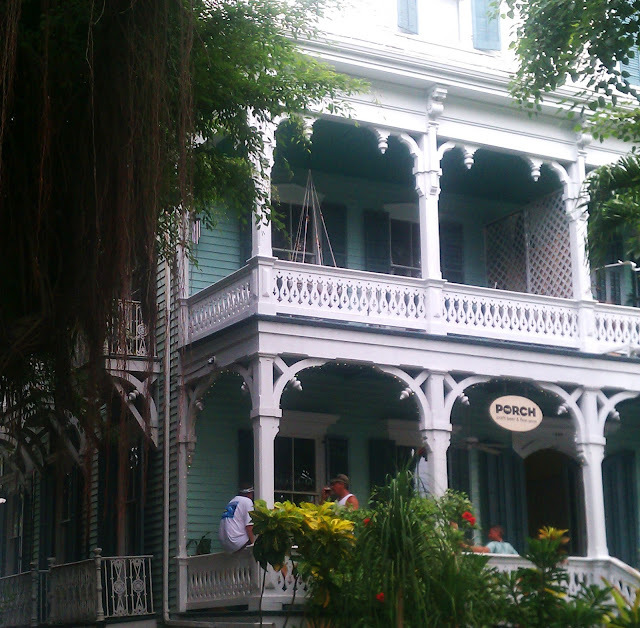 The Porch: We were excited to find this low-key bar right on Duval with a great selection of craft-brews. The Gardens Hotel: We wandered into this hotel because we saw "wine bar" on their sign. In the back, you can put money on a card in order to taste the many wines they have on tap while walking through their gardens. The wine was great, the atmosphere was great, I can't imagine how great it would be to stay at the hotel! Sloppy Joe's: Ok, this one is more renowned but we loved the pina coladas here, and even found that they had a good selection of beer on tap at the small bar in the back. Fort Zachary Taylor State Park: Thanks to Andy's research, we knew that beaches in Key West were somewhat hard to find. So, we headed to Fort Zachary Taylor State Park to spend a relaxing afternoon reading on the beach! 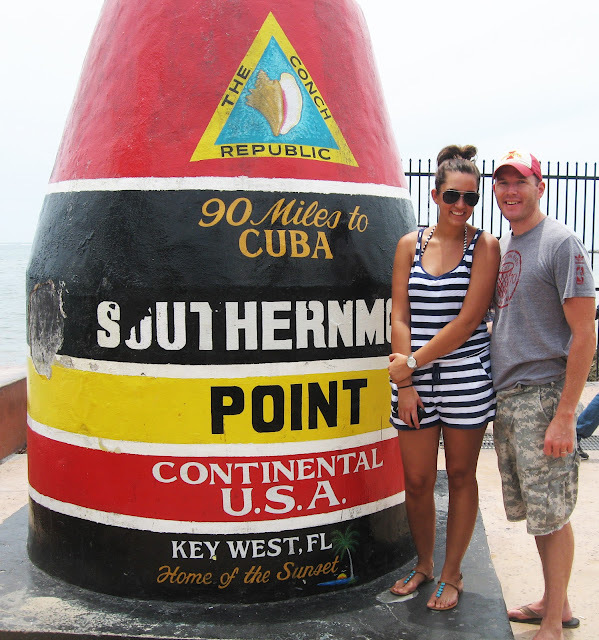 The obligatory Southernmost Point photo! 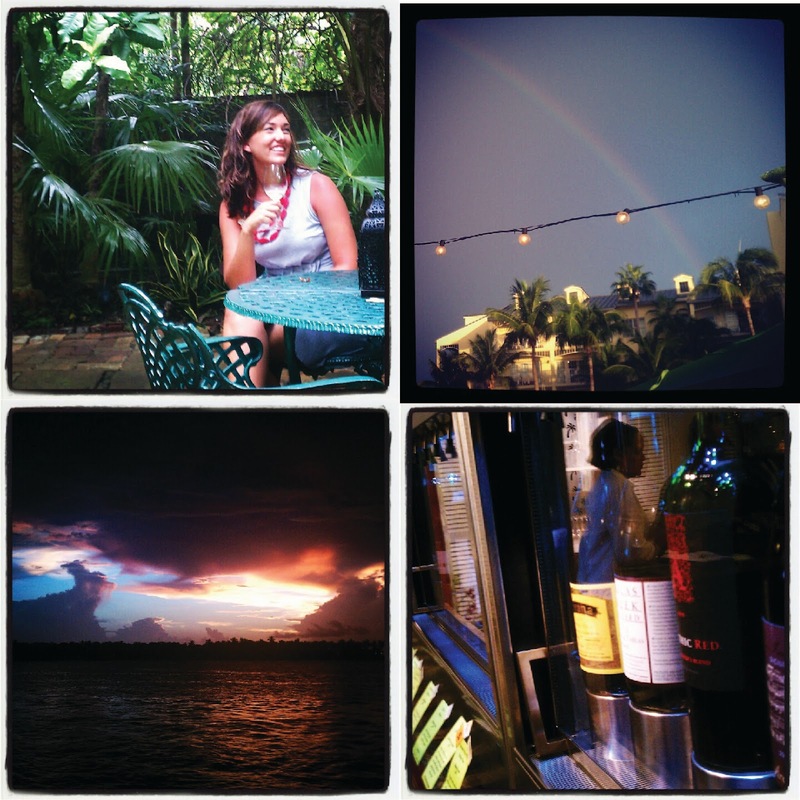 A few Key West snapshots. Looks like you guys had a great time. I think I will make you two my official travel agents from now on! !